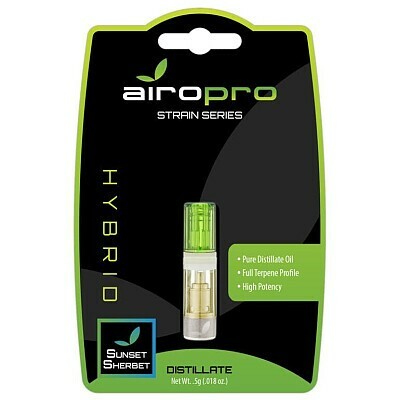 The AiroPro cartridge is more than a stylish magnet, it’s the first vessel of its kind. The secured mouthpiece and filling septum minimize the possibility of leakage, something which has been a common issue among older model vaporizers. Considering that risk of accidental exposure, to children or pets for example, the AiroPro cartridge was built for safety as well as durability. Free from a traditional wick and coil setup, AiroPro cartridges adopted ceramic reactor technology to serve as the heating element. Unmatched thermal precision ensures concentrates are always vaporized at the proper temperature. This preserves the flavor of concentrates and prevents them from burning. The silver-plated magnetic base makes exchanging cartridges a snap, while ensuring a solid connection every time.